Energy saving starts at home; it’s where we spend most of our time—and energy. So, if we want to start reducing our energy consumption, and introduce a greener lifestyle, then we must figure out ways to conserve on the home front. If you haven’t done so already, this is the first place to start saving: your bulbs. Stop using energy-sucking, traditional incandescent light bulbs that have to be replaced more often than not. Instead, switch to the new generation of halogens, CFLs, or LEDs throughout your house. Sure, it may be a bit more money upfront, but your long-term savings on your energy bill will be noticeable. If you want to be green, then it’s essential that you make a conscious effort to buy only energy-efficient appliances for your home moving forward. Your age-old air conditioner is likely having an outsized effect on your energy bill. One easy way to conserve energy is to utilize the biggest energy source available to us: the sun! Rather than having lights on during the day, open up your windows to let in the sunshine. Furthermore, the sun can help heat up your home without using any special heating or warming device. How’s that for savings? If you’re looking to put a more permanent mark on your home’s energy conservation, then insulation should be on your radar. Properly insulating your home keeps heat in, and cold out. In other words: you must expend less energy heating up your home, which brings your bill down in the long run. 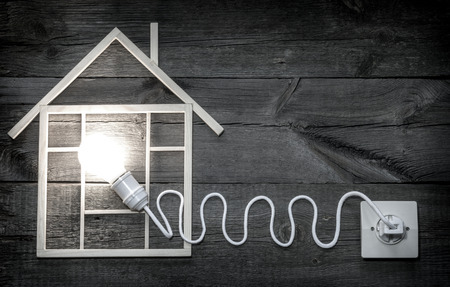 From photovoltaics to energy-efficient heating systems, we at Empire Clean Energy Supply can provide installers with the green products that will help you conserve energy at home. Call us at 631-589-4340 today to learn more!